Toronto, March 26: Israel’s military has begun targeting Hamas-related locations in the Gaza strip after a rocket fired from the enclave hit an Israeli home north of Tel Aviv, injuring a family of seven. Soon after the rocket attack, Israel Defense Forces announced that it launched targeted attacks in the Gaza strip. IDF spokeswoman Major Mika Lifshitz said Hamas, which has fought three wars with Israel since 2008, was to blame for the launch reported the BBC. "It's a Hamas rocket, itself made by Hamas," she said. "It has an ability to reach more than 120km." "We see Hamas as responsible for all that happens in the Gaza Strip," she added. Israel’s Prime Minister Benjamin Netanyahu, who is on a visit to the U.S., denounced Hamas’ rocket strike as "wanton aggression". "Israel will not tolerate this, I will not tolerate this," he told reporters at the White House. Netanyahu spoke at the signing ceremony at which US President Donald Trump recognised Israel’s sovereignty over the contested Golan Heights. 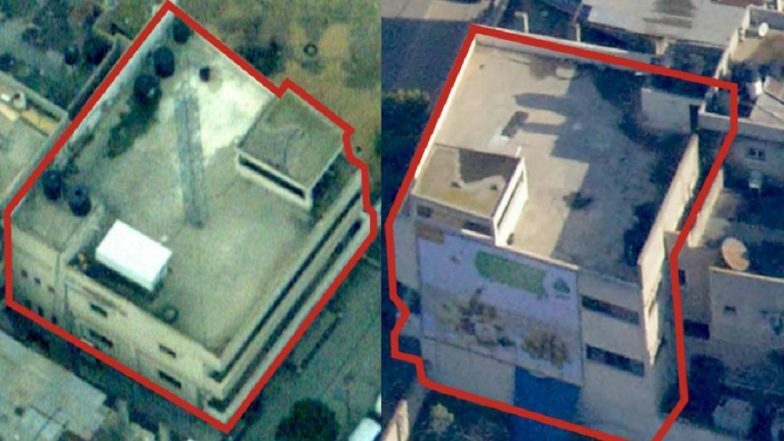 Among its targets, the Israel Defense Forces singled out a building said to be the secret military intelligence headquarters of Hamas. Hamas radio also broadcast news of the Israeli bombing destroying the office of leader Ismail Haniya, reported the Al Jazeera. This was followed by Hamas' political chief Haniya calling for unity to address Israeli attacks. "The current Israeli bombardment of the Gaza Strip reflects its criminal nature. The Palestinian resistance will not allow the occupation to oppress its people." "The Palestinian cause is being attacked on various fronts - in Jerusalem, the West Bank and Gaza, as well as inside Israeli jails. So far no Palestinian militant group including Hamas had claimed responsibility for the fired rocket. This is similar to another rocket attack that happened a few days ago, in which Hamas had come out to say that it had not fired any rockets into Tel Aviv. Meanwhile, the situation in Israel continues to be tense as the IDF tweeted that air-raid sirens had sounded off in Southern Israel, signalling more rockets from Gaza strip. The AFP news agency too tweeted that more rockets had been launched towards Israel but this was soon followed by one announcing that Hamas had reached a ceasefire with Israel after the escalation.